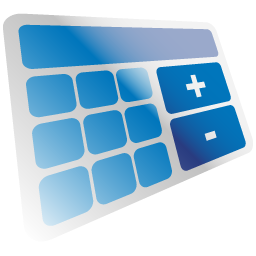 Online calculators can help you work out all kinds of personal number-crunches. Let's reveals what buttons to press. The Salary Calculator (thesalarycalculator.co.uk/salary.php) is a quick way to check how much a pay rise will add to your take-home earnings. Click the '2010 values' link to see if your take-home pay has gone up or down, and the 'Show advanced options' to add extra elements, such as bonus and overtime payments. 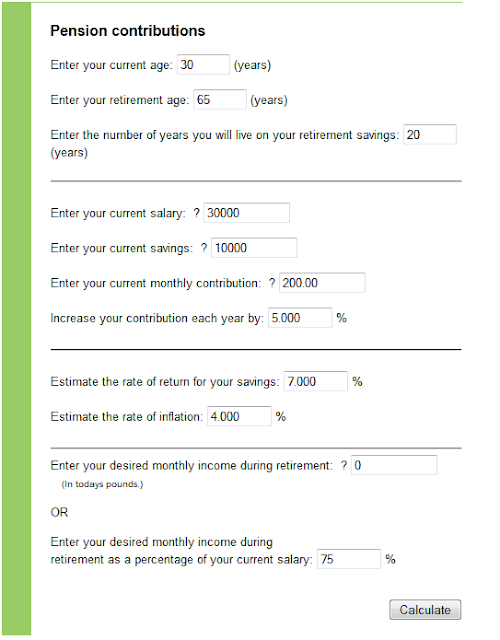 There are loads of online pension calculators that work out how much you should set aside each month to get a particular amount in retirement (The Guardian's is especially good: http://bit.ly/pension284). But to find out whether you're entitled to Pension Credit, which is a means-tested benefit payment on top of your existing pension, use Directgov's 10-page online calculator (http://bit.ly/credit284). It’s very thorough, so you'll need to have lots of information at hand about your current earnings from pensions, savings and other sources. 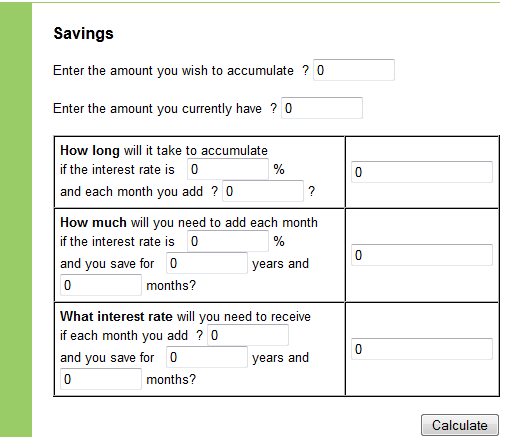 The Guardian also has a good savings calculator (http://bit.ly/savings284). Just enter how much money you want to accumulate, and then add different rates of interest and monthly deposits to see how long it'll take to reach that amount. For example, if you want to save £100,000, and already have £40,000, then saving £200 a month at three per cent will take 13 years and seven months. You can juggle these figures to find a combination that best suits you. As you'd expect, MoneySavingExpert.com has lots of excellent tools, including the Premium Bond Calculator (http://bit.ly/bonds284), which works out whether Premium Bonds are better than ordinary savings (the short answer is 'no'). But our favorite is the sophisticated Ultimate Mortgage Calculator (http://bit.ly/mortgage284) because it's really eight calculators in one, letting you check complex details such as overpayments and offset mortgages. 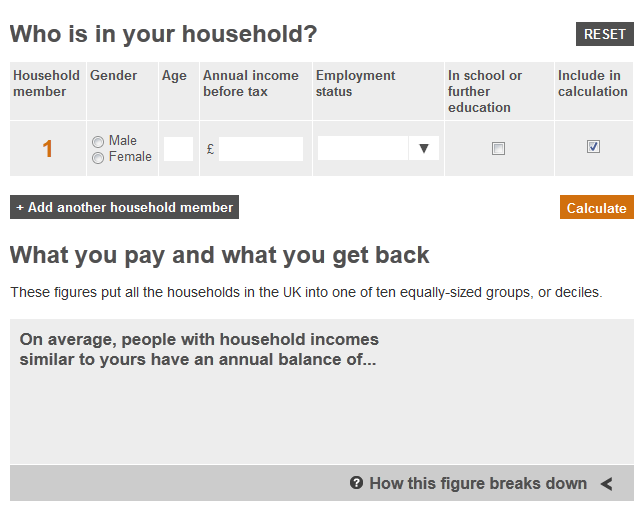 This fascinating BBC calculator (http://bbc.in/taxcalc284) uses your age, salary and employment status to calculate your 'tax balance', which is the difference between what your household pays in tax, and what you get back. The expert analysis helps you to place the results into a national context, so you can see how you fit into British society in 2012. 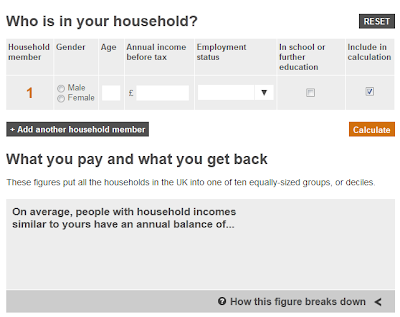 Another BBC tool to use is the Inflation Calculator (http://bbc.in/infl284), which works out your personal rate of inflation by asking you for your monthly spending on various items (food, clothing, bills and so on). Because different products have varying rates of inflation, it's a useful way of working out how your spending habits affect the cost of living. For more information on how it works, read the FAQs (http://bbc.in/bbcfaq284). 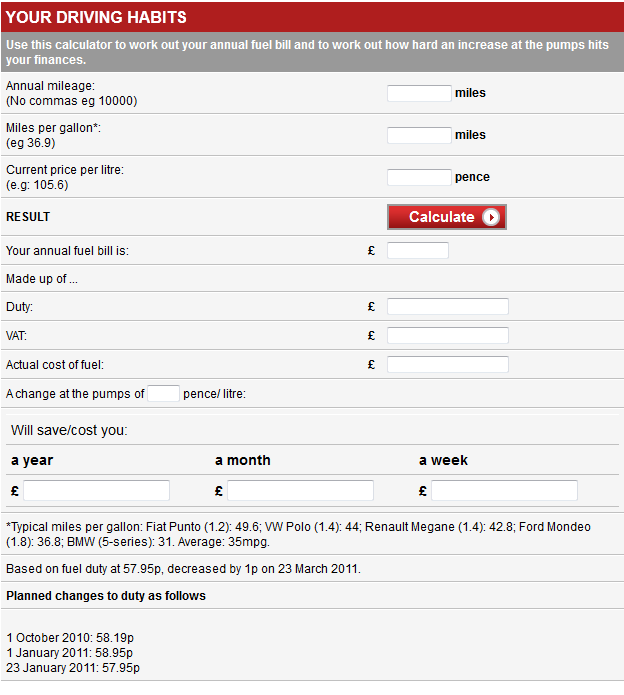 To put the current rate of inflation into context, use This Is Money's 'Historic inflation calculator' (http://bit.ly/inflation284). It works out, among other things, how inflation has affected the value of money. For example, £2,000 in 1911 is the equivalent of £185,300 now. 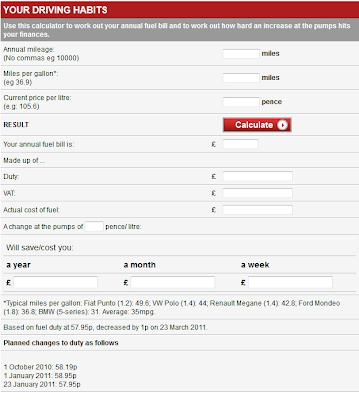 More useful, perhaps, is the 'Inflation savings danger calculator' (http://bit.ly/danger284), which shows how inflation erodes the value of savings. This Is Money also has a 'Petrol bills calculator' (http://bit.ly/petrol284) which works out how much you spend a year based on mileage, miles per gallon and current cost. It also shows how much of that annual cost is VAT and duty, and works out how price changes will affect your total cost. You probably use XE.com for quick currency conversions, but it has some hidden tools that will help you spend your money more wisely when abroad. The Credit Card Charges Calculator (www.xe.com/ccc) works out how much extra you pay to use your card abroad. There's also a Foreign Exchanges Charges Calculator (www.xe.com/fec), which shows you how much you're charged for buying foreign cash and traveler’s cheques. The NHS's easy-to-use Body Mass Index (http://bit.ly/index284) calculates how healthy you are, presenting a result that ranges from underweight to obese. 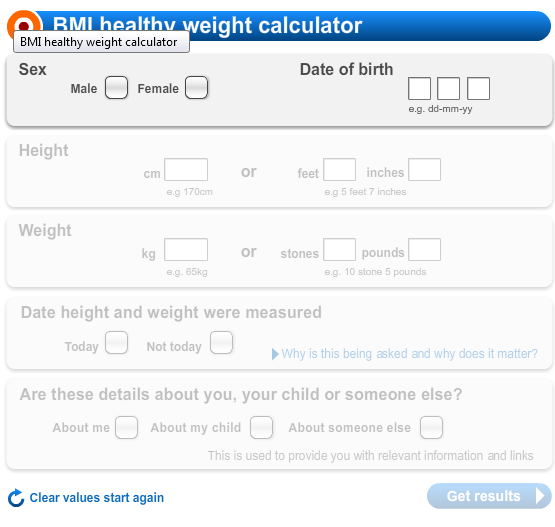 The BBC's BMI tool (http://bbc.in/health284) is even slicker, using a slider to set your height and weight. The BBC also has a 'Hip to Waist' calculator (http://bbc.in/waist284), which works out a ratio that many doctors now regard as a more accurate measurement of your health. Timeanddate.com is heaven for anyone who likes playing around with calculators, although it won't tell you how much money you have or what things cost. Instead, you'll discover fascinating things like the numbers of days between dates, how many seconds you've been alive, and the distance between major cities and when the sun will rise and set in the future. It's truly brilliant. Also, it's not a calculator, but you have to try the Word Clock: www.timeanddate.com/wordclock.